These days, anxiety has turned out to be a part and parcel of our lives. Though it is not a great state of mind to be in, it cautions that you are going to come across a lot of tricky circumstances. Some individuals may feel without tension one cannot feel driven to work, but this is not the correct way to think. In small quantities, anxiety could be a good thing, but not for an extended period of time, as it may lead to a condition where one has to face a lot of penalties linked to stress, and that does not mean just loss of appetite or labored breathing. Clinical anxiety can be treated by means of medication and other clinical approaches. Before that, an individual has to admit that they are going through constant worry and the first attempt to resolve the problems as much as conceivable. Such approaches consist of acupuncture which can ease anxiety and stress. 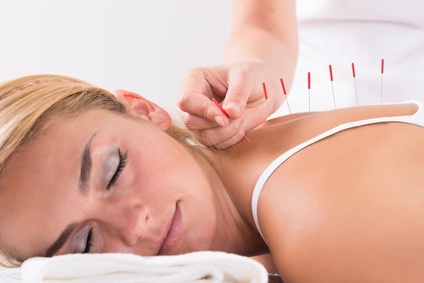 The procedure is direct and consists of a well-qualified acupuncturist. First of all, we will inquire about your health history and inspect the tongue. We observe the feel of the pulse and will carry out other physical inspections on the condition on the patient’s health. After inspecting the individual, we will formulate a treatment strategy to treat a specific health condition. There would be no pain or negligible uneasiness as the fine needles are positioned lightly on these respective points. The needles would be reserved for approximately half an hour and then will be removed. A lot of individuals have gotten liberation and felt comfortable after the treatment. The point is situated near the kneecap and above the feet. By putting on the pressure at this point, the energy flow can be controlled and augmented. This point is in the middle of the second toe and thumb in the webbing of feet. By putting on pressure, it aids in upholding an even flow of energy and unclogs blocked meridians. This is found in the feet just at the base of big toe. It aids in providing stable circulation of energy all over the body by putting on the pressure to it. It aids by releasing the mind from apprehension and concerns. This is located close to the pulse of the hands and by putting on pressure on it, one can get rid of additional stress. It aids in getting rid of nausea. This point is situated on the precise another side of the inner gate point. By stimulating this point, one gets sustenance for the immune system and aids in refining the energy flow. The point is situated in the webbing in the middle of index finger and thumb. By applying pressure, it decreases the stress and muscle tautness. This point is adjacent to armpit and exciting this point aids in deep breathing and donates to balanced emotions. The point is to be found near the backbone, and by exciting this point, it aids in strengthening the whole body and gets rid of back tension. It is situated on the edge of the shoulder and it decreases strain and tautness by putting on the pressure at this point. It provides an unconstrained flow of energy which aids in relieving stress and anxiety. A meta-analysis research study has revealed that the HRV (heart rate variability) scores were enhanced by applying acupuncture treatment. This has aided a lot of patients in refining their health disorders as well as mental conditions. Most of the time, we feel tired and anxious or dazed due to work or effort. This may lead to frustration, low energy levels, which make you moody, bringing about in a state known as stress and depression. Acupuncture is extremely calming and soothing to the body. A lot of individuals have gone through this treatment and discovered it to be helpful in getting released from stress and anxiety. The acupuncture is perceived as harmonizing Qi in Chinese medicine which involved reinstating balance and well-being of health. Medical consultants in general use steroids and drugs in treating pain which typically leads to a number of side effects. Matched to these, acupuncture is effective, harmless and it is a completely drug-free treatment for pain and other conditions. A research study piloted in Georgetown has revealed that the acupuncture works in a similar manner as compared to the calming drugs such as anti-anxiety and anti-depressants. Healing time of the ailments is influenced by the patient’s mindset and the harshness of symptoms. Most of the patients report relief after only one session of acupuncture. Others may take longer to feel the effects, if their body has more toxins or delayed healing reaction. In modest words, there is nothing you would lose with acupuncture and with a specialized acupuncturist there would be no dangers at all. On the other hand, there are a lot of benefits with such treatments, and one can sleep better and have a better sense of well-being.